My husband's nephew had mentioned that I should find a cabinet for the Christmas Creatures that I have made. I thought it was a great idea, but I was a little stumped on what the cabinet should look like. It really needed to have the same funky aspect as the creatures. I found the cabinet pictured below, made from repurposed wood and an old window frame. Perfect! The only issue was that it would need shelves, lighting, and glass in the door/window. I took it to a carpenter/artist that I thought would do a nice job. He did :) Now the little creatures have their own home. We hung the cabinet last week. It weighs a TON!!! And, it was a bear to hang. But, it's up, and until the end of the world comes, at least for me ;), this is where the cabinet will stay! What has been nice is that everyone who has dropped by has been drawn to the cabinet, and they have just stood and marveled at all the little guys inside. So nice :) It looks like there's a crack in the glass in the picture below. There isn't, it's just a shadow. Becky of Trail Balloons and I are gearing up for a new February challenge. 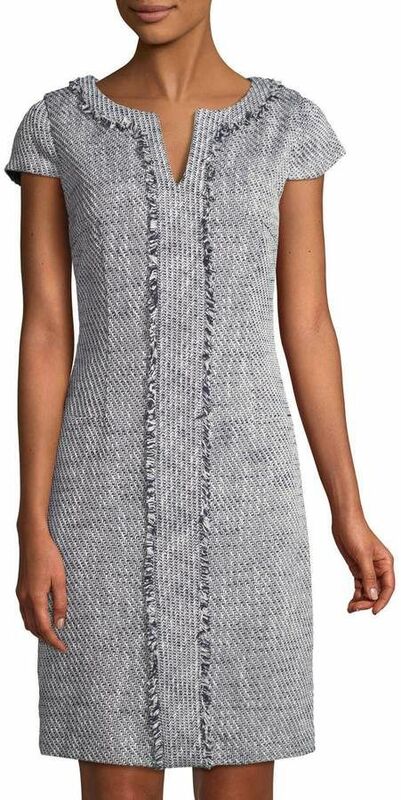 We will be using the Merchant and Mills Francine top/dress to create woven wool/tweed sweatshirts. We have set our weekly challenges, so we have a game plan. Now to decide what I'll be doing. I did a little snooping around on Pinterest for some design ideas. As it turns out, I was really drawn to fringe. I love this piece from Chanel. Pictured on Anna Wintour on the left, I love how it was cut on the bias. With this piece, the fringe is not a self fringe, but feathers. Regardless, it's a great inspiration piece. 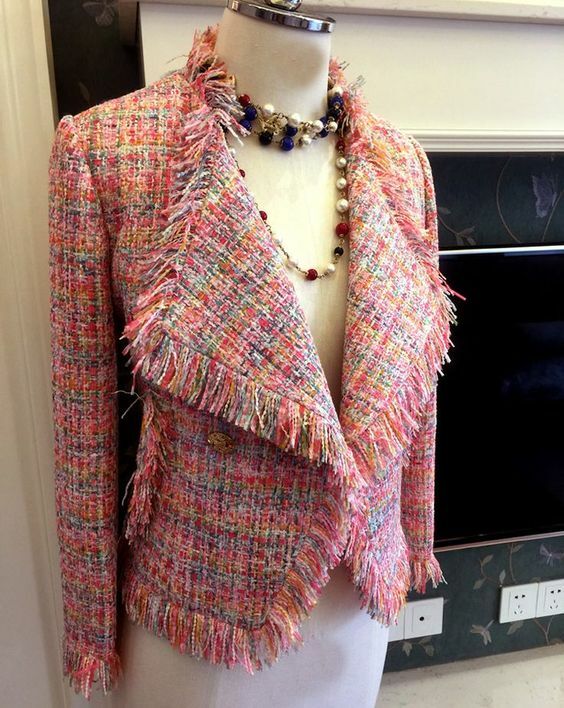 Here's a tweed jacket that was given added attention with the fringe trim. So pretty. 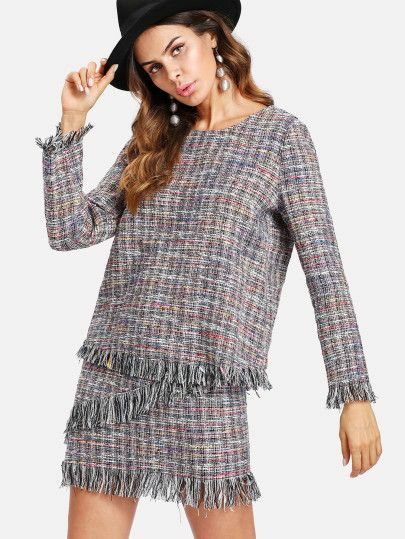 The fringe on the dress and jacket below looks like a purchased trim. But, the fabric could easily be fringed and sewn back on to the garment. Another Chanel piece with self fringe. Two rows of fringe on the jacket. It really pops due to the added black trim. An extremely simple top given a little interest with the fringe hems. 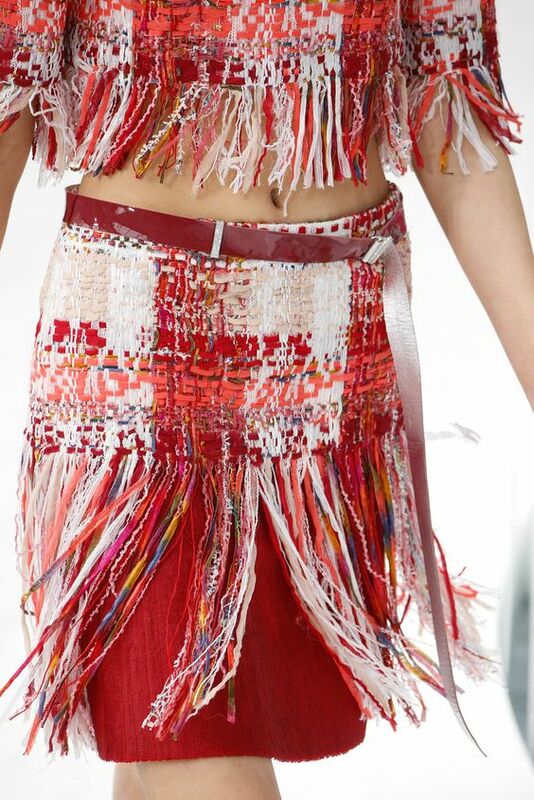 Love the added detail of the fringe on the skirt as well. The center panel on the dress below would have disappeared had the fringe not been added. Another super simple top made more interesting with the fringe on the sleeves and the hem. Love the added detail of the knitted cuffs. The last two pieces are skirts and not tops, but I really love the self fringe on both. Bubblegum 4 Breakfast did a lovely post on how she created this beautiful bias trim. You can find the post HERE. 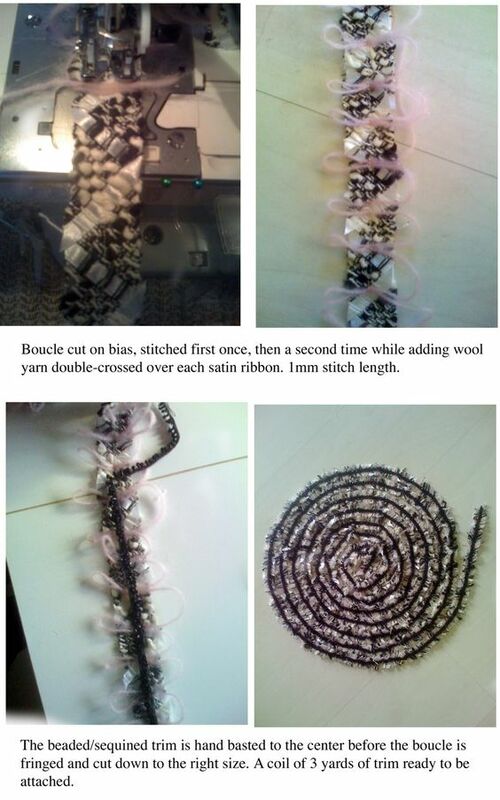 Here's another great post on making fringe from KBDesigns. 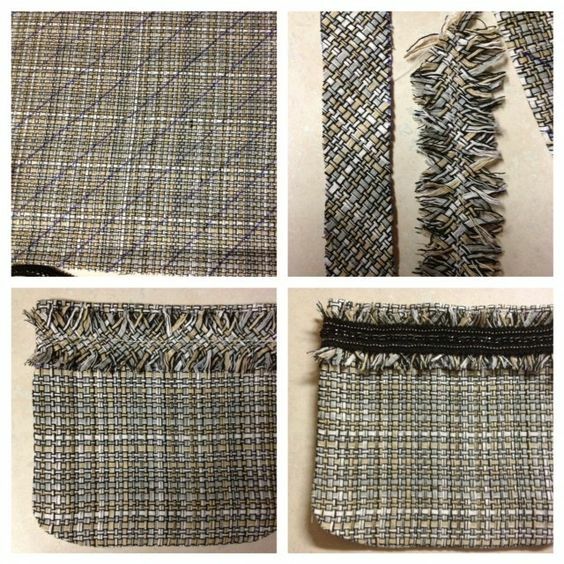 So, if you find that you would like to embellish a garment, especially one that is made with a fabric that will fringe, there's no need to search and search for trim as you just need to pull a few threads! Love the fringing. I made a jacket years ago with a fringe. Before I really knew what I was doing. Making a top sounds like fun. 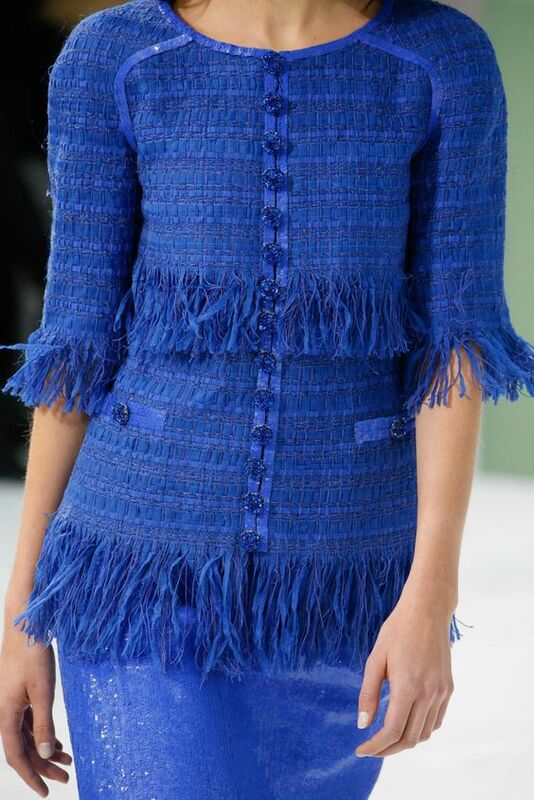 I have always loved the fringe trim on Chanel jackets but I've somehow gone all this time thinking it was the selvage edge of the boucle that was used! Now I'm laughing at myself but this opens up a whole new world of fringe opportunities! Actually, you can just fringe the edge, so no laughing at yourself! But, there are a lot more possibilities with adding it as a trim. 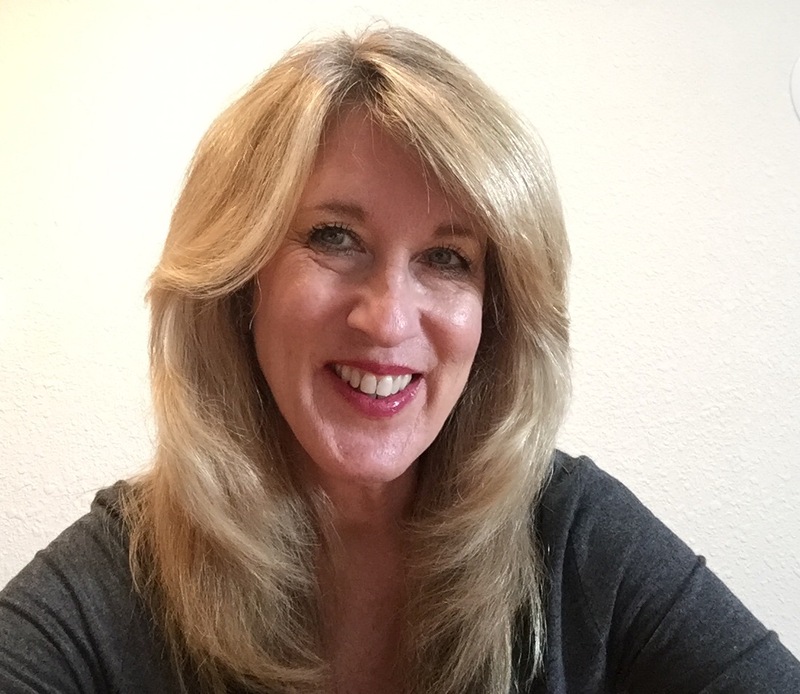 Sadly, she has been gone from blogging since 2010 :( But, I am happy that her blog is still up as it is a wealth of information. Lovely fringe inspiration and I love your cabinet of creatures. Thanks for another great post!!! I love SO many of those pieces. I've never tried fringe before but will soon.